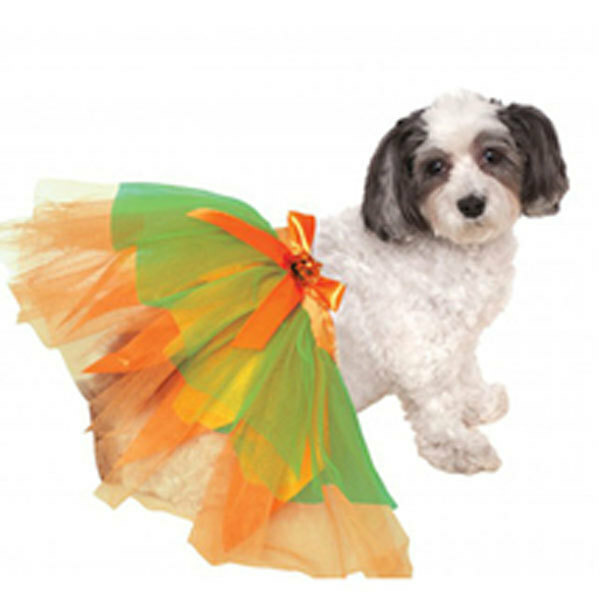 Dancer's will have a ball this Halloween with the Pumpkin Dog Tutu! This skirt is a great start to an amazing outfit. Tulle skirt has a tie on waist band. Great for photo ops and Halloween! Get your little dancer something to twirl about with the Pumpkin Dog Tutu! Orange and Green tulle tutu Tie on waist with pumpkin accent Made of polyester Fits a small to medium size dog and medium to large dog. Ships from a smoke free pet free shop.